Cozy up to Fall with this woodland themed collection by Whistler Studios. Please note that the main print (42259-X) is printed digitally with vivid, intricate details and vibrant colors. Proud deer and falling leaves printed on rich green, russet and brown backgrounds, supported by a variety of textured solids give this autumnal collection a distinctly masculine feel. 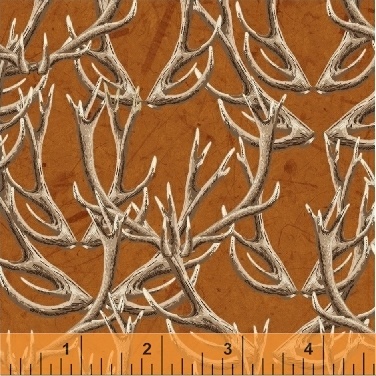 Perfect for lodge quilts and wall hangings to spruce up a cabin or rustic home. 14 Skus. Delivery to stores December 2016.